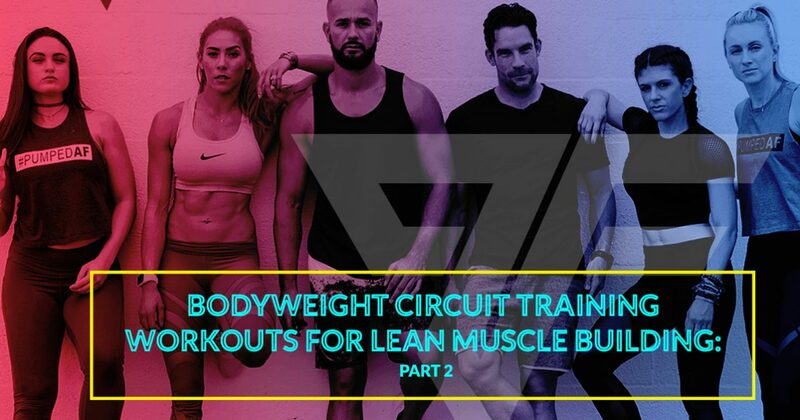 If you read part one of this blog series, you already know a few basic bodyweight circuit training workouts you can do at home to tone up your body and build lean muscle without having to rely on gym equipment. In the world of circuit training and HIIT (high-intensity interval training), the possibilities for using your own bodyweight and environment to work out are endless, and it all comes down to working specific muscle groups in a quick, intense, cyclical pattern. At PumpFit Club in Fort Lauderdale, we are all about circuit training and dedicate BUCK-IT THURSDAYS to these intense strength training workouts, so here are a few more bodyweight circuit training exercises for you to try at home! The mountain climber is one of those bodyweight exercises that can be used in many different workouts, whether that be a HIIT workout plan, a circuit training session, or just a warmup before you hit the weight machines at the gym. To begin, get into the pushup position with your arms straight, making a point to keep your back from rounding, and bring one knee into your chest so your toes touch the floor beneath you. Place it back down and alternate sides as many times as you can for a full minute before moving on to the next bodyweight circuit training exercise. This is a fun one — at least for those who enjoy a good tricep workout. Give your biceps and abs a break as you pull up a chair, sit down with your legs stretched out in front of you, and put your weight in your heels. Then, grip the front edge firmly with your hands beside your hips and shift your weight forward so you are holding yourself up in front of the chair. Activating your triceps, lower your body so your elbows form a 90-degree angle, then come back up, lift one leg off the ground, and reach forward to tap it with the opposite hand. Alternate sides for 60 seconds as you continue to dip down, doing as many repetitions as possible. At this point, your arms might be shaky (which is a good thing), so let’s go back to the legs and fire them up with a one-leg deadlift. Start standing up straight, then shift your weight onto one leg and reach for the sky. Keeping your balance with your gaze facing forward, tilt from the hips so your torso bends to one side and is as parallel to the floor as possible while you lift the other leg up, pushing against gravity. Come back into the original position and switch sides as many times as you can, engaging your core and staying balanced through the whole 60 seconds. Ready to add in some weights? Sign up for our BUCK-IT THURSDAYS at PumpFit Club to take these bodyweight circuit training exercises to the next level in a fun group workout setting. We can’t wait to meet you and get pumped together!